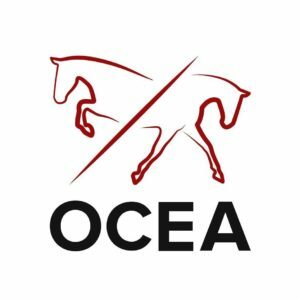 The Ontario Collegiate Equestrian Association (OCEA) was officially founded in 2007 by a group of dedicated and hardworking university students. Formally known as the OUEA, the original goal of the organization was to offer students a way to continue riding and competing without the same financial and time commitments traditionally associated with the sport. The OCEA was originally structured based on the Intercollegiate Horse Show Associate (IHSA) in the USA, but over time has evolved into something truly its own. 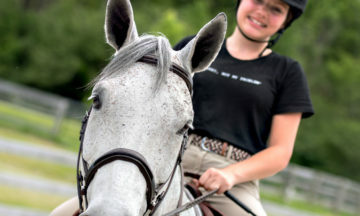 Like the IHSA, the OCEA offers hunter equitation classes to riders ranging in ability, and riders compete on donated horses that they have not previously ridden. The OCEA started out with only seven member universities from south-central Ontario (Brock, McMaster, Guelph, Waterloo, Western, Laurier and Trent) and over just a few short years has grown to include schools from across Ontario and Quebec. We currently have 20 schools involved with the OCEA, and as such have divided the organization into Central, East, and West Zones. By dividing into zones, travel times were reduced, but more importantly, this will allow for each school to send more riders to every show. Despite the organization’s rapid growth, it is still entirely run by students and relies on the kind donations from those involved in the equestrian industry. Several students from many different member universities make up the OCEA Executive Team, and they are responsible for the overall management of the organization. Individual shows are run by member teams, and the majority of teams each host at least one show per season. For more information on each individual team and the OCEA executive, please visit our website at www.ontariocea.com.